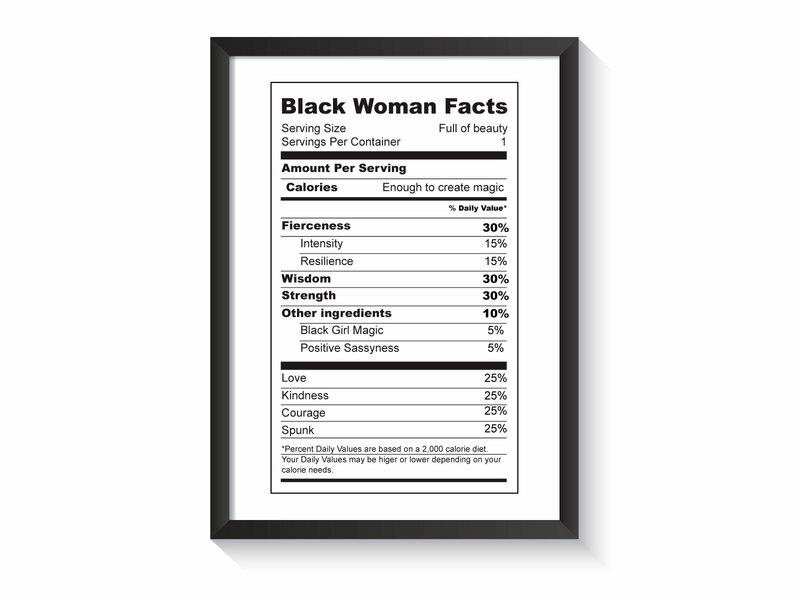 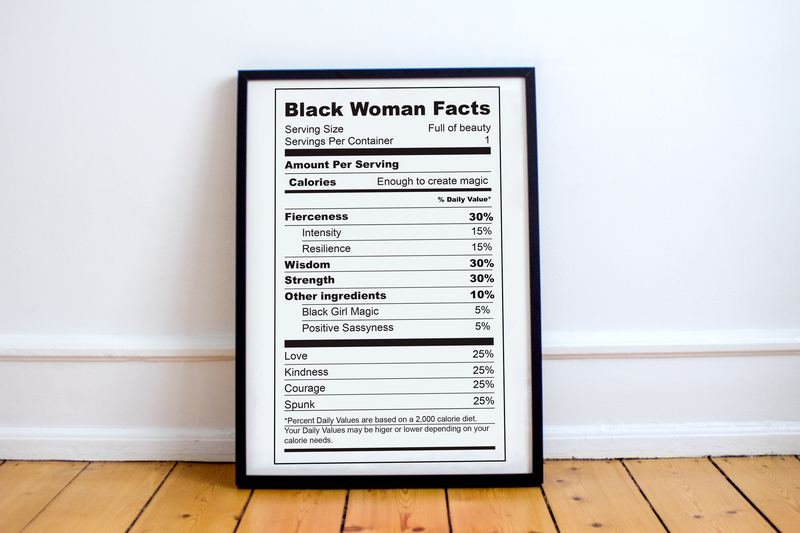 Represent what a Black Woman is made of with one of our exclusive Black Woman Facts Poster. 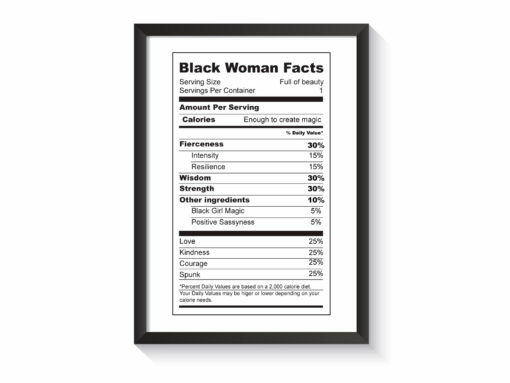 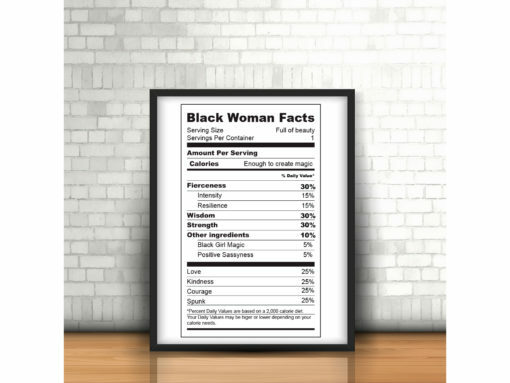 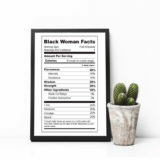 Original and cool, our Black Woman Facts Poster makes a great decoration piece for your home or a clever gift for a fierce woman of color in your life. 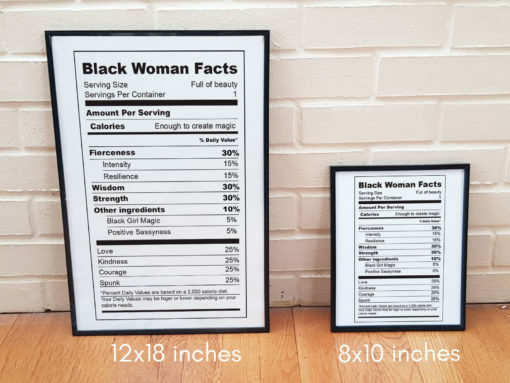 You can purchase either the poster paper only or the poster within a black frame. Our posters are available in two sizes: 8x10in and 12x18in. 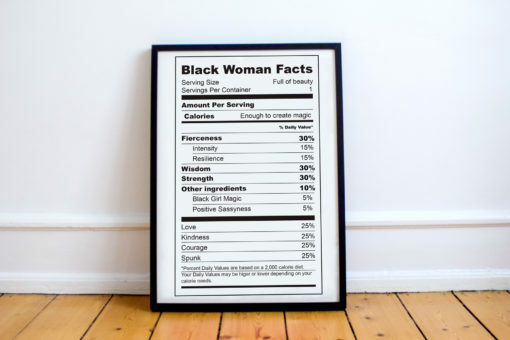 We create all of our art with pigment inks using professional, museum-grade luster paper in our studio in Norman, OK. We take pride in creating our products in a sustainable and ethical way. 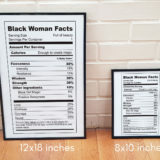 Since we create all of our products in our own facility, we gladly accept customization requests. 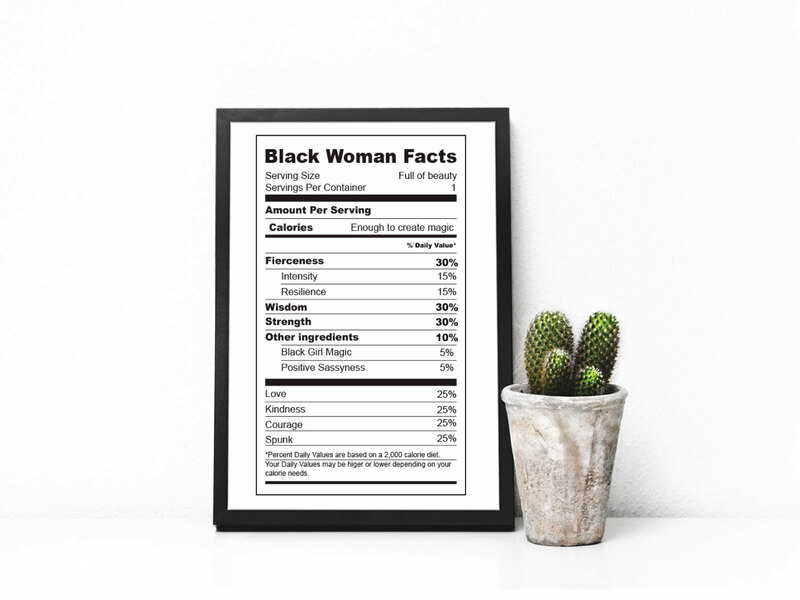 If you would like to change colors, fonts, or order this poster in a different size, do not hesitate to contact us by clicking here or sending us an email at orders@femishopzi.com. 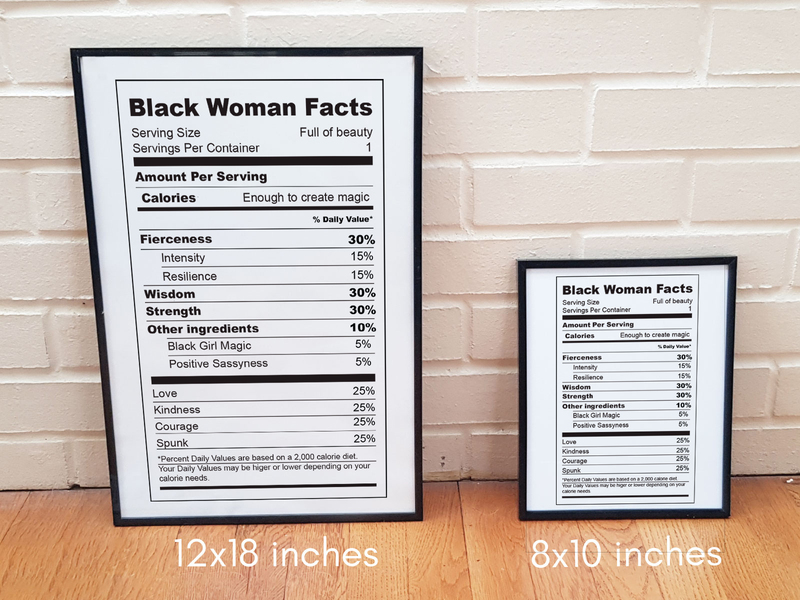 Please note that if you buy the printed version for the bigger poster without the frame, the poster size will be 13 x 19 inches.